This unit contains special chips of 657 & 940 nm in each nose tube. The wavelengths released by these chips are purposed to irradiate the mucous membrane inside the nose. 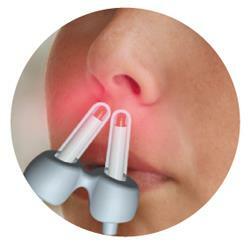 It can warm up the nose temperature and promote the blood circulation in the nose. 940 nanometer wavelength cannot be seen by the naked eyes. The color of 657 nanometer wavelength in dark red. Dual wavelength nm cold light provides different deep layer energy to the epitrichium. SNEEZER BEAM is the only product to have two special wavelength chips installed inside a sinlge nose tube in the world. 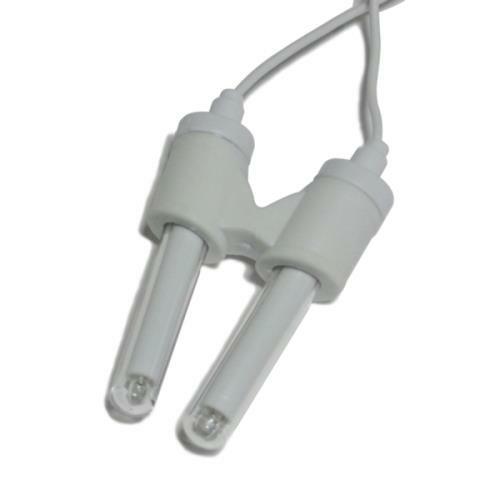 This unit applies cold light to stimulate the cell activities. No burning or other uncomfortable feeling would occur when used. The power of the light source is lower than general fluorescent lights. It belongs to general healthcare equipment suitable for use at home and does not require professional medical personnel to operate it. SNEEZER BEAM is compact and easy to carry. 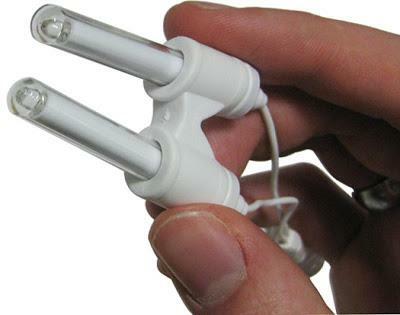 It is of no need to use any external power sources and very easy to operate. This device is certified by ISO-13485, EMC, ISO-10993, EN60601-1, CE 0434 and manufacturer is under GMP standard. Insert one piece of 9V battery. 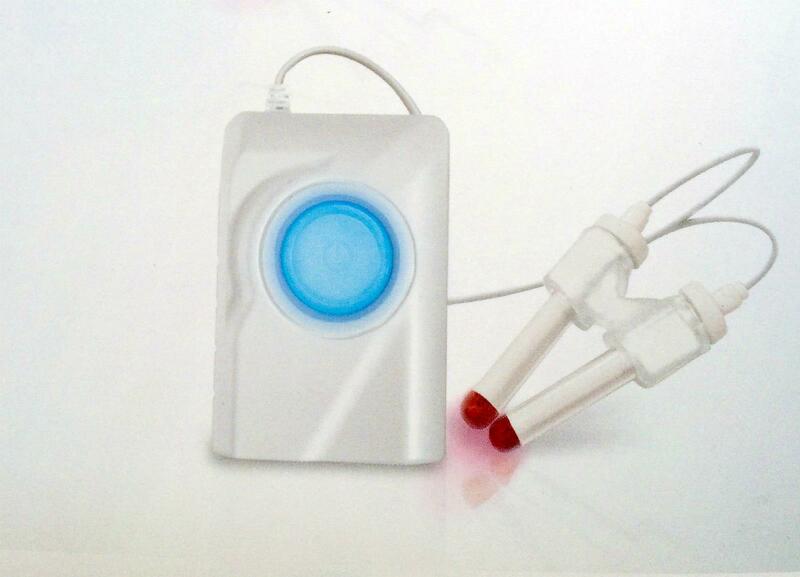 Press ON/OFF button on the main body, red 657nm special wavelength cold lights will appear at the end of the nose tube. 940nm wavelenght is activated too but this cannot be seen by the naked eyes. Insert the nose tubes into the nose as comfortably as you feel and clamp it. 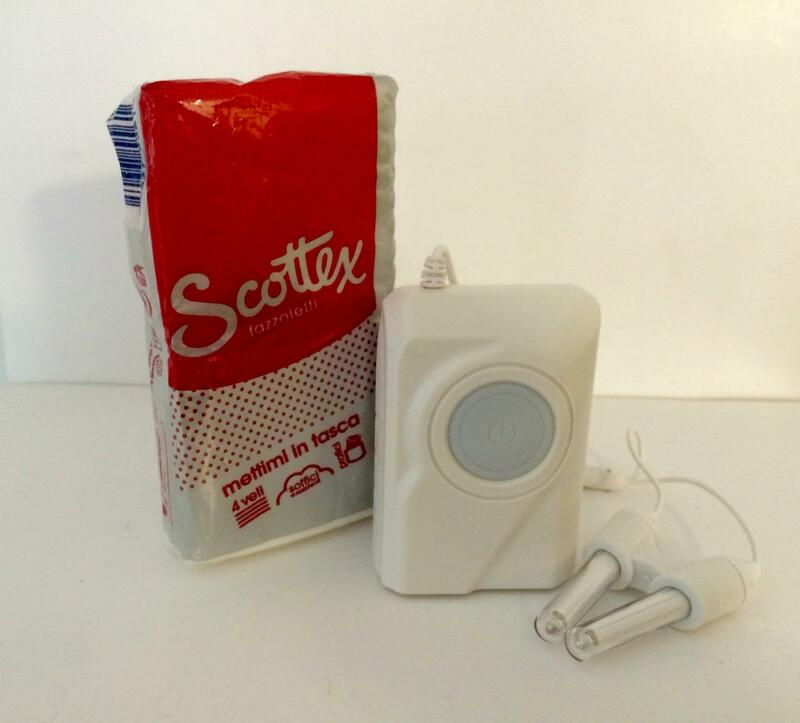 The unit will automatically shut off after it is activated for approximately 3 minutes. One treatment cycles is around 3 minutes. Remove the battery after each use to prevent any damage caused by battery deterioration or leaking. This product is not waterproof, do NOT clean with liquid cleaner. You can clean the dirty surface by wiping it wet cloth. Do not allow water to enter the main body. After each use, use cotton swab with 70% concentration alcohol to clean the nose tube. Prohibit the use of 100% alcohol or other organic solvents to clean the nose tube and main body.